Nu confundați cu Robert L. Howard. 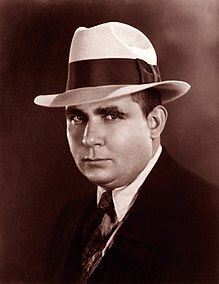 Robert Ervin Howard (n. 22 ianuarie 1906 – d. 11 iunie 1936) a fost un autor american care a publicat în reviste pulp. Este cel mai bine cunoscut pentru crearea personajului Conan Barbarul. Este considerat a fi tatăl subgenului literar Sword and Sorcery. Alături de William Morris și Edward Plunkett, Lord de Dansany, Howard este printre primii autori care explorează varianta dură a poveștilor cu zâne. "Beyond the Black River" · "Black Colossus" · "The Black Stranger" · "Cimmeria" · "The Devil in Iron" · "Drums of Tombalku" · "The Frost-Giant's Daughter" · "The God in the Bowl" · "The Hall of the Dead" · "The Hand of Nergal" · "Shadows in the Moonlight" · "Jewels of Gwahlur" · "Shadows in Zamboula" · "The People of the Black Circle" · "The Phoenix on the Sword" · "The Pool of the Black One" · "Queen of the Black Coast" · "Red Nails" · "Rogues in the House" · "The Scarlet Citadel" · "The Snout in the Dark" · "The Tower of the Elephant" · "The Vale of Lost Women" · "A Witch Shall be Born" · "Wolves Beyond the Border" · "The Slithering Shadow"
"Black Sphinx of Nebthu" · "Black Tears" · "The Blood-Stained God" · "The Castle of Terror" · "The City of Skulls" · "The Curse of the Monolith" · "The Flame Knife" · "The Gem in the Tower" · "Hawks over Shem" · "The Ivory Goddess" · "The Lair of the Ice Worm" · "Legions of the Dead" · "Moon of Blood" · "The People of the Summit" · "Red Moon of Zembabwei" · "The Road of the Eagles" · "Shadows in the Dark" · "Shadows in the Skull" · "The Star of Khorala" · "The Thing in the Crypt" · "The Witch of the Mists"